Whether he's backing up, regional, national or international or back home in his adopted state of Texas performing or abroad with his various groups, etc., Rickey Ford is not only a musical but an artistic, community and business force to be reckoned with as well. He is a humble man who believes that all men are created equal and that they should be treated as such, no matter what. As a kid growing up in Memphis, Tennessee, Rickey developed an interest in business and got his feet wet while watching his mother work a full-time job as well as well as several other part-time self employment positions. His father also had an entrepreneurial spirit as well. While in elementary school, Rickey started several businesses that were so successful he was able to hire his own classmates to work for him. He also became a boyscout while in elementary school and later started singing, playing various percussion instruments and the recorder. Right before he started Junior High, Mr. Ford bought himself a guitar and amplifier and the gentleman began to teach himself how to play. Then came the alto saxophone followed by the flute, all while in junior high. These and his succeeding years in high school were full of musical challenges and struggles. Mr Ford didn't have any natural musical talent whatsoever nor did he come from an artistic and supportive family. Couple all that with being poor and living with a very ill single parent, etc. Even though he was playing saxophone in band class, he was essentially teaching himself because his fine band director (Kenneth B. Ichols) was overloaded with students without the help of an assistant band director. Mr. Ichols also had to deal with the administration, parents, and a lot of disciplinary issues in classes. At the same time Rickey was still teaching himself guitar and at a later time, the flute. All of this made his musical foundation an extremely weak one because he was teaching himself without the proper individualized, "one on one" training from an expert. Mr. Ford was essentially doing everything wrong and developing bad habits. His band director (a good man and teacher) left and things got even worse for Mr. Ford as a beginner music student in the form of his second band teacher, Billie Moore who would tell his students "he did not believe in practicing" states Mr. Ford. My second band director, "Billie Moore was simply there for the money and nothing else", "it was musical, self-esteem and artistic torture for me because I had and I was continuing to develop more and more bad habits like playing in pain, straining, playing out of tune squeeking, poor concepts and technique and so on". Mr. Ford even remember bleeding from his mouth because of not having private one on one instruction from an expert, if you will. While at Melrose High my band director (Roy McClemore) left near the end of my first semester, then came Mr. Paul Hill who taught him some basic chord theory on piano and beginner clarinet. His reading also increased. 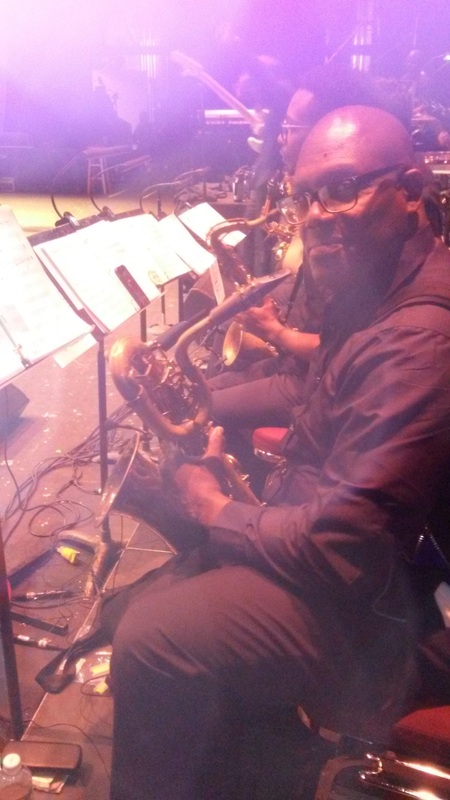 Rickey was later introduced to his first saxophone teacher/woodwind specialist (Michael Scott) through Mr. Hill. It was Mr. Scott who began the embrionic process of turning my playing around, says Mr. Ford. Mr. Scott also relayed some basic information to me about flute, clarinet and bassoon as well but much more study and time was needed up under Mr. Scott's guidance. It was not meant to be. Mr. Ford left Memphis for Houston (Texas) where he majored in business and played in the Texas Southern University "Ocean of Soul" marching band, the University Orchestra and the T.S.U. Jazz Ensemble where his lack of skills became highly apparent and when/where the many many years of being laughed and talked about. "People laughed and talked about me for years and years before during and after my college and post college years", "I just simply could not play". Mr. Ford, inspite all these things, that against his success, has forged ahead to work with the likes of The Temptations,Milton Berle, The Delfonics, Jennifer Holliday, , Johnny Tayler, Arnett Cobb, Mavis Staples, Chris Rock, Joe Sample, Barry Lee Hall, Johnny Clyde Copeland, Joe Nettles, Hanq Neal, Anita Moore, V. Michael McCay, Don Patterson, Conrad Johnson, Mel Waters and Kirk Whalum, Dean James, Howard Harris, Richard Lee, Ronald Thorton (Deceased, December 2009), Sam Jackson, Horace-Alexander Young, James Williams, Alexander Valk, Robert Sanders, Carl Lott (Jr. and Sr.), Calvin Owens, Don Wilkerson, Glen Burleigh, Grady Gaines, Barbara Tucker, and Benjamin J. Butler to name a few. To hear and see Rickey Ford perform is truly a blessing and a miracle. I enjoys bringing joy,love as well as knowledge and seeing the many smiles on the faces of the people I teach and perform for.Furthermore,I love seeing people grow and become more confident and stronger. I first like to know what their musical goals are as well as if they own an instrumet or not.If not,I typically will do research to find a good instrument for them..Furthermore,I like know what syles of must that they enjoy listening too. A band director approached me about teaching his students. I have taught Indian,Asian,Mexican/Latin Americans and Afro-Americans and Caucasian ect. 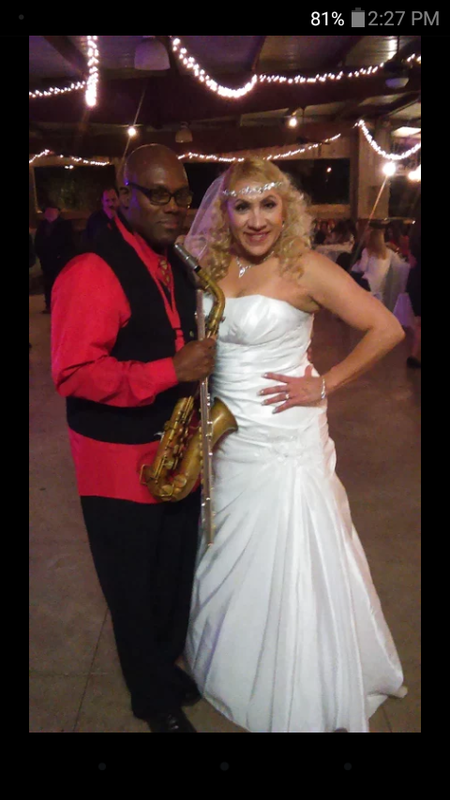 I performed with The Temptations in several cities and their music director is Marvin Gayes` former conductor. That would be to look for a teacher who also plays professionally with the ability to play various styles as well as have an open mind.Furthermore,they should be able to read music adequately as well as play by ear to a good degree.Having the skills to read chord changes,notes and havings good understanding of The Nashville Numbering is paramount when teaching guitar/bass players.In addition,they should have a sincere love for music and for all people.